Litchfield County is a county located in northwestern Connecticut of the New York metropolitan area. 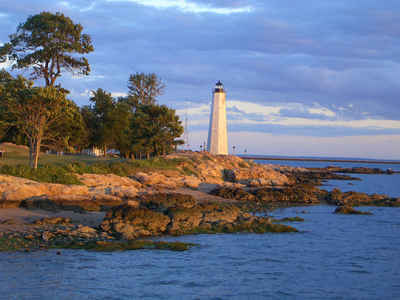 Based on the 2010 census, the population was 189,927. Litchfield County was created on October 14, 1751 and was formed from Fairfield County and Hartford County. 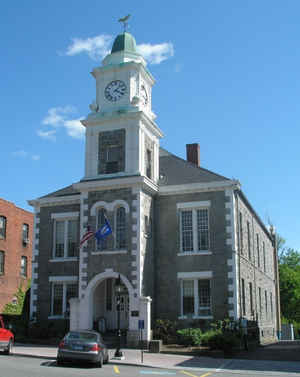 The County Seat was Litchfield (1751-1960). The county is named after Litchfield, in England. 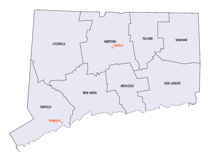 Litchfield County is located in the northwest corner of the State of Connecticut, bordered on the east by Hartford County, to the north by Massachusetts, on the west by New York State, and to the south by Fairfield and New Haven Counties. Connecticut's sixth county, it is the largest in land mass. The total land area covered by Litchfield County is 920 square miles. Litchfield County has the lowest population density of any county in Connecticut and is geographically the state's largest county. Litchfield county is located in northwest Connecticut. The county is the largest county in Connecticut by area. Litchfield County is unevenly adjoining with the portion of the Appalachian Mountains range known as the Berkshire Mountains.